Our ball handling clinics and personal training are taught by our director of training; Marcus Wagner. Marcus is a certified Skills Enhancement trainer who helps basketball players of all ages tap into their imaginations with the use of various innovative training techniques. 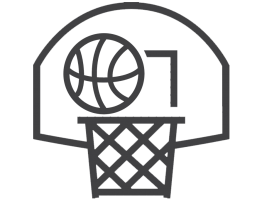 Marcus is skilled at helping players develop their basketball skills and overcome “game like” obstacles with basketball concepts and training methods. Marcus is currently certified in ball handling, footwork, and offensive playmaking. These certifications are proof that he has the competency to teach not only general basketball skills but also specific techniques and concepts. Marcus is also the owner of Hoop Never Stops Basketball Academy.